This stunning Audrey Hepburn Replica from the movie 'Roman Holiday' features Swarovski crystal flowers and leafs with a brilliant silver finish. If you love the grandeur of old Hollywood, this is your tiara. 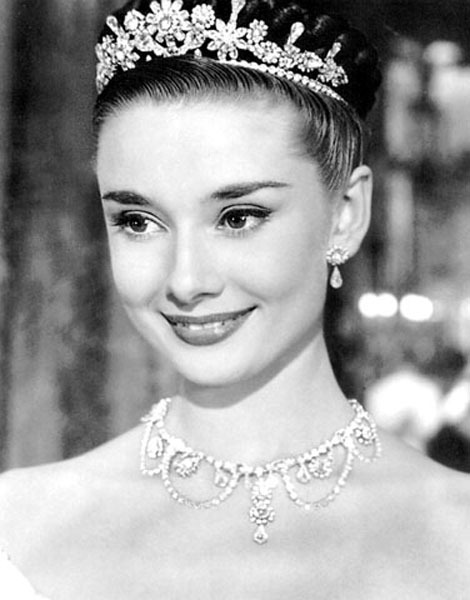 To see the Audrey Hepburn original, please click here. We are excited to offer replicas of the matching necklace and earrings, which can be bought alone or together with this tiara as a set.